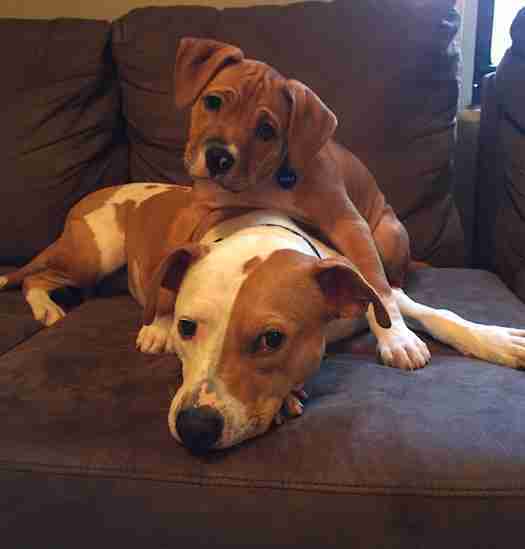 At only 2 months old, Charlie the puppy went from having a family to suddenly having no one. 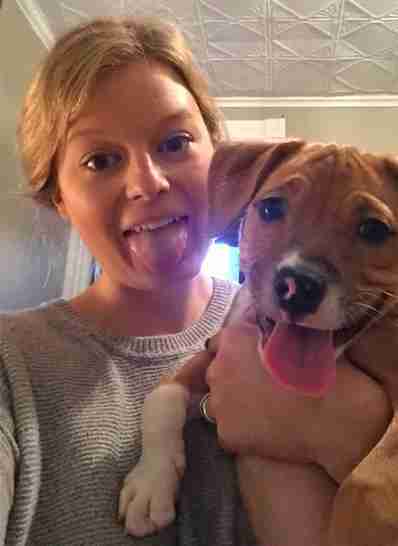 Kristina Helfer was volunteering at the Liberty Humane Society in 2015 when she first met little Charlie, who had just been dropped off and surrendered to the shelter by his owner. Seeing how sweet and desperate for attention the puppy was, Helfer decided to bring him home as a foster. Helfer knew she would be helping Charlie by taking him out of the busy shelter — but she had no idea that her own dog, Piper, would end up helping the homeless pup just as much. After a day or so of seeing the dogs snuggle and interact together, Helfer noticed something bittersweet. Charlie was actually trying to nurse from Piper — which meant he had likely been taken away from his own mom too early, Helfer said. As the weeks went on, little Charlie flourished alongside Piper. He was outgoing, smart and, as all puppies are, very playful. Piper would help calm him down when he was getting a little too hyper, but she also endured a ton of his puppy antics with the patience of a saint. 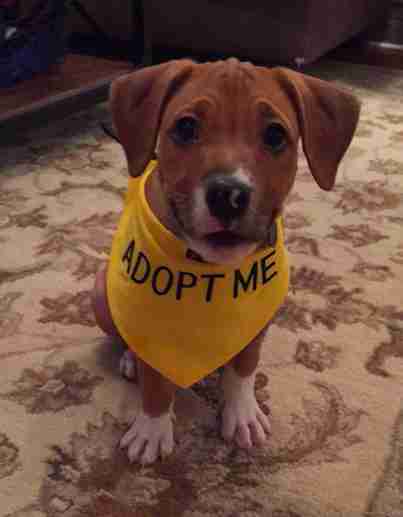 After a month in his foster home with Piper and Helfer, Charlie was ready to be adopted. He had grown so much, and thanks to Piper’s guidance, was doing well at potty training and walking on a leash too. And thanks to Piper and Helfer, he found his happy ending. 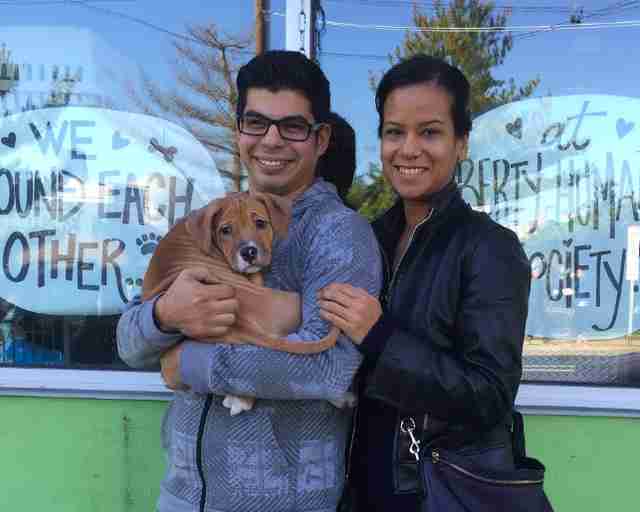 The perfect local family reached out about adopting Charlie, and brought him home soon after. 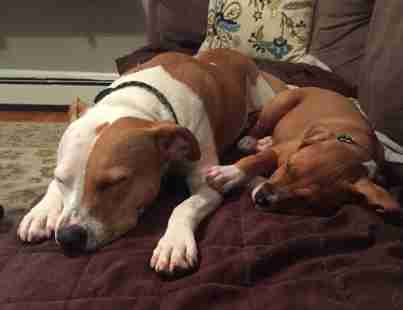 In the years since, Piper and Helfer have gone on to foster over 50 dogs together, including a cuddly pit bull with anxiety named Frank, whom Helfer eventually adopted. She’s now the adoption and foster coordinator for Wise Animal Rescue in New Jersey, where Piper also volunteers to test out adoptable dogs for their compatibility with other animals. 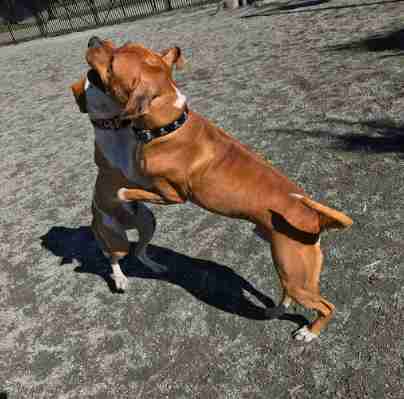 But even after all her fostering work, Piper’s relationship with Charlie stands out as something special. 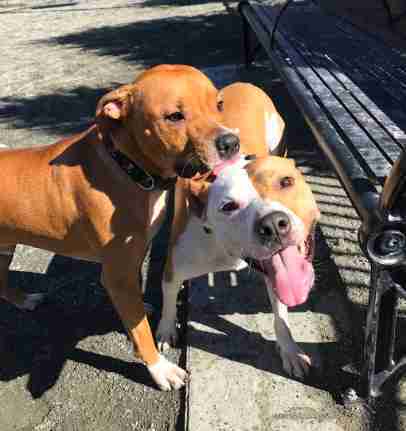 Helfer has stayed in touch with Charlie’s new family, and the two dogs were recently reunited for the first time in years at the park — and they were ecstatic to see each other again. Piper couldn’t stop smiling. 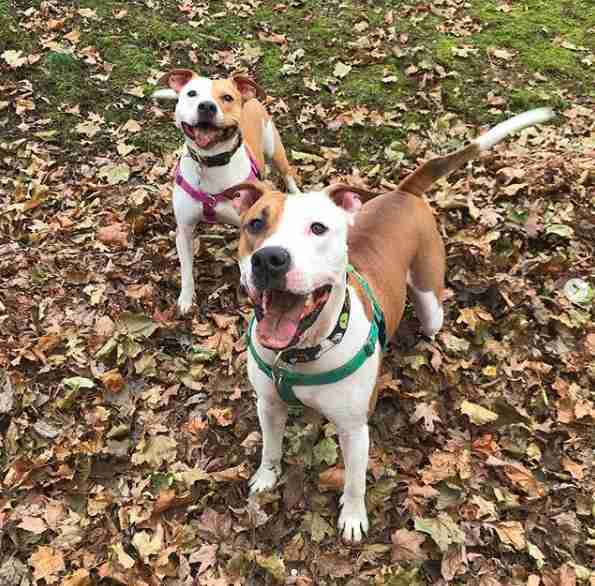 While both Piper and Charlie have gained a dog sibling of their own since they first met, their bond is still just as precious — and is truly something one can only experience through rescue and fostering, Helfer said. To help more dogs like Charlie, who's now known as Riker by his adoptive family, you can make a donation to Wise Animal Rescue. You can also learn more about fostering for your local shelter here and follow Piper's adventures here.